If you enjoy playing Surgeon Simulator 2013 you might be interested to learn that it now has been linked with the Oculus Rift virtual reality headset to provide an even more immersive game. 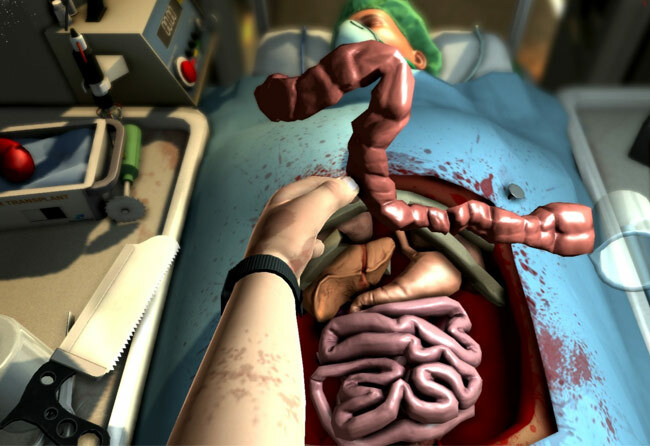 The Surgeon Simulator 2013 game is a darkly humorous over-the-top operation sim game where you become Nigel Burke, a would be surgeon taking life into his own shaky hands, performing life-saving surgical manoeuvres on passive patients. “The original prototype – developed in just 48 hours at the 2013 Global Game Jam in January – challenged players to complete a heart transplant, armed only with an arsenal of clumsy and inappropriate tools and a hand that was diabolical to control, using a combination of keyboard and mouse actions.